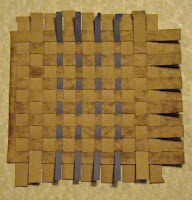 Using my Brown Bag Collection of papers and my Cheery Lynn Designs Big Weaver and Big Wicker dies, I have created a wonderful woven background for a card base. 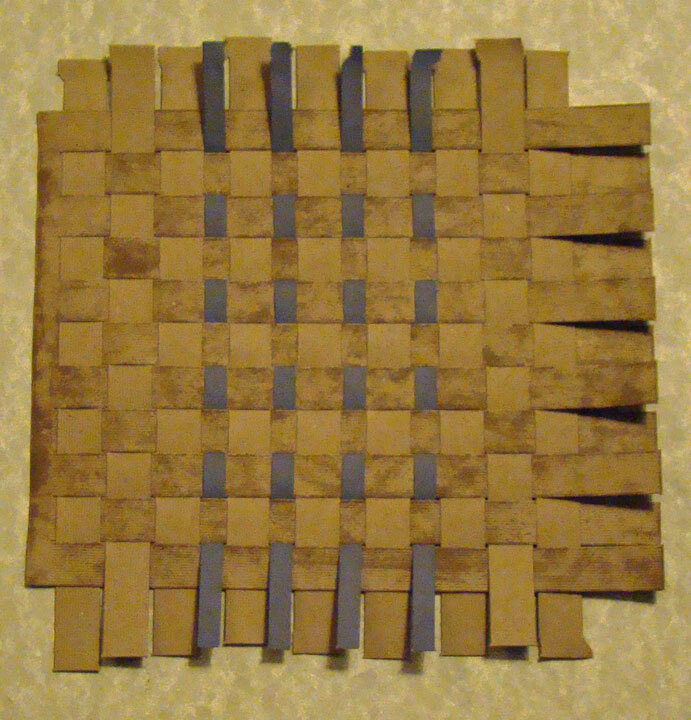 To create this fabulous woven background panel, I started with a sheet of Blueberry Handtinted Brown Bag paper and 2 sheets of Kraft Brown Bag paper. Using my Cheery Lynn Designs Big Weaver (1/2" width strips) I embossed and then die cut 2 panels of Kraft paper. 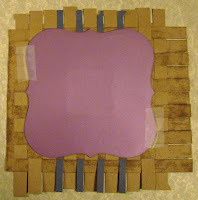 One end of the panels has about a 1/2" border that does not cut, this makes it easy to hold onto while you are weaving in the other strips of paper. 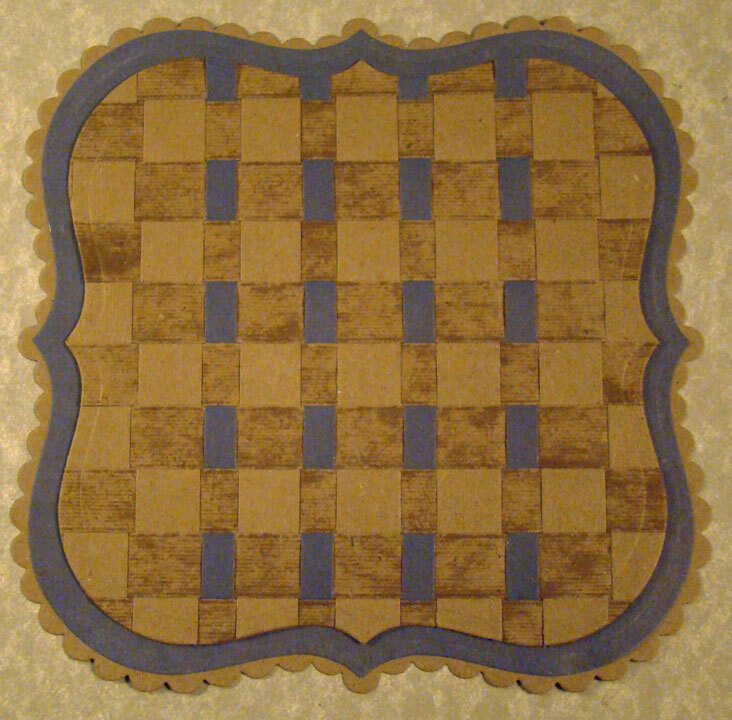 Using my Cheery Lynn Designs Big Wicker (1/4" width strips) I embossed and then die cut 1 panel of Blueberry. Before I started weaving, I took a Frayed Burlap Distress Ink pad and just rubbed along the base Kraft panel to bring up some of the embossed areas. 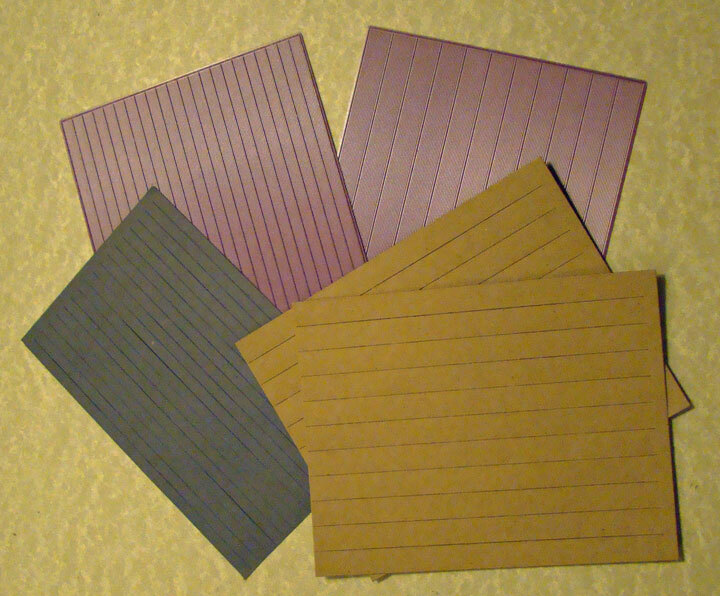 Using strips of Kraft and Blueberry, I wove a pattern for my card base. You can snug the paper right up to each other for a nice tight weave. When I got a pattern I was happy with, I cut a 5 7/8" base of Kraft paper to which I added a full sheet of Red Liner Tape. You want this to be really secure or your weaving will come apart. Then I attached my woven pattern to the base, running a brayer over it for a nice secure surface. 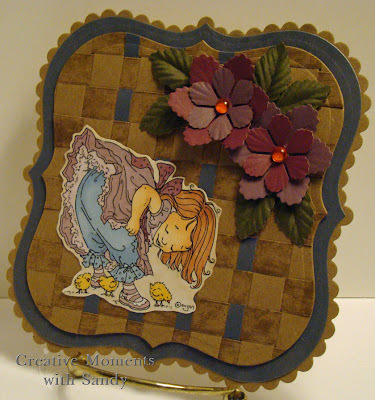 Using my Cheery Lynn Designs French Flair die, I centered it on my woven paper and embossed and then die cut it out. I was attempting to cut through 3 layers of card stock and the red liner tape. The die did not cut entirely through the tape but it was a simple matter to trim around the edge of the die cut. 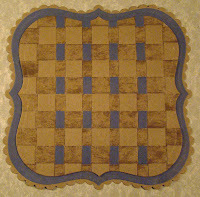 Then using my Cheery Lynn Designs Silver French Flair, I cut the next largest panel out of Blueberry. 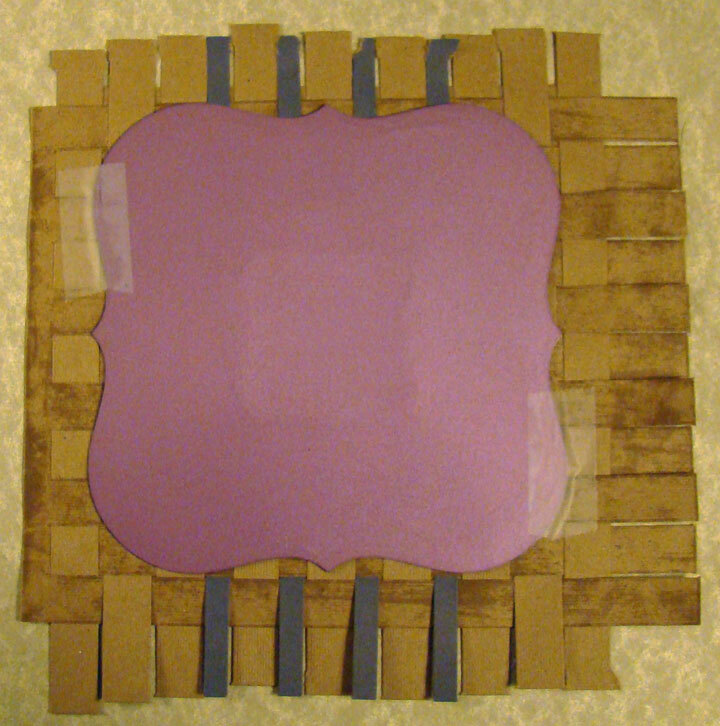 And the final step for creating my card base was to cut a Cheery Lynn Designs Scallop French Flair out of Brown Bag Kraft 65# Cover card stock. Isn't this a fabulous design? I really hated to cover it up, lol. If you are into basket weaving, you could easily weave yourself a basket. And the Brown Bag paper is so perfect for this project, it has that vintage quality about it. So next it was time for finish my card. I chose an image from Mo Manning called Savannah at Easter, isn't she a cutie? I printed her onto Cryogen paper and colored her with Copic markers. Then using punches and dies along with the handtinted Cranberry, Eggplant and Olive Brown Bag papers, I created some fabulous flowers and leaves, adding a few gems for the centers. March 2011 Sale is our Brown Bag Collection. 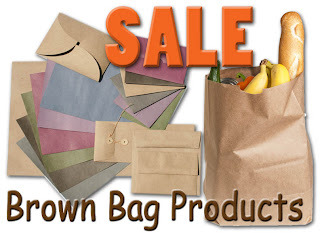 All Brown Bag Products will be discounted 10% from March 1-31.